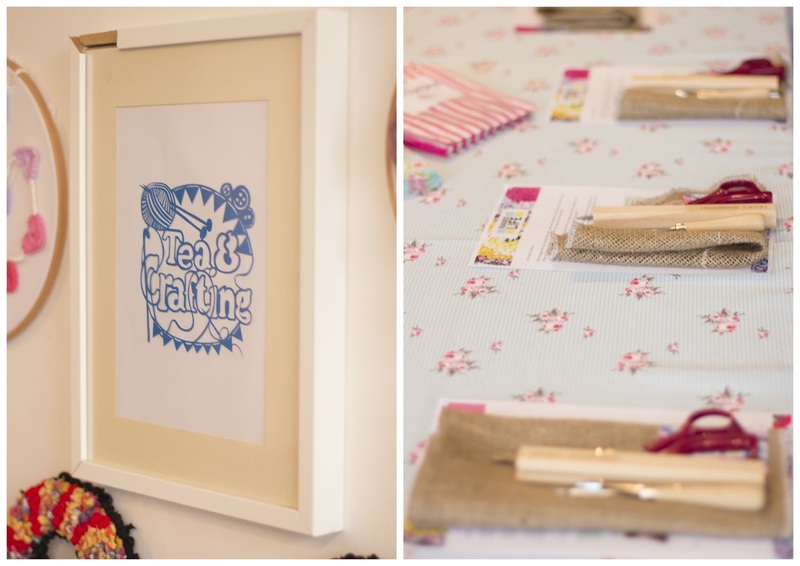 A couple of weeks ago we were asked along to a workshop at Tea and Crafting with Ragged Life. 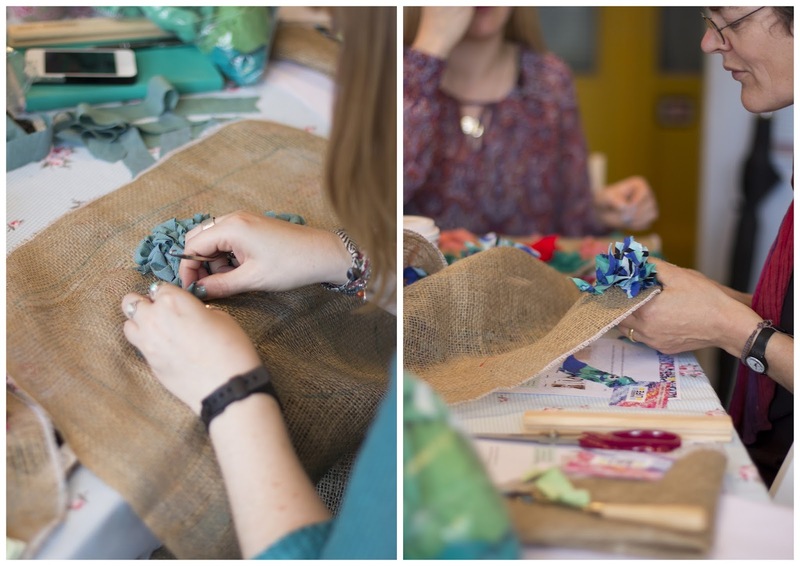 We jumped at the chance to play with some fabric on a dreary Sunday morning and to find out more about what Ragged Life is all about. 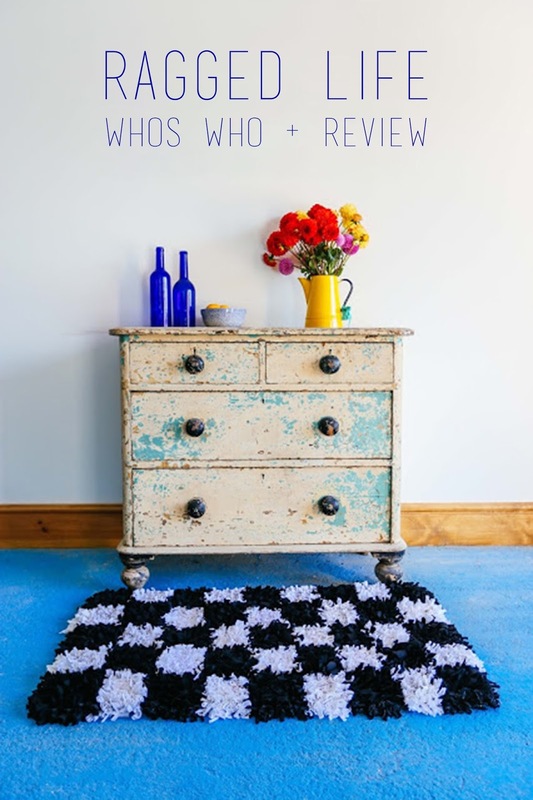 Firstly we had a chat with Elsie who runs Ragged Life and so that brings us onto this month's Who's who. Hi everyone, I'm Elspeth Jackson, rag rug designer, maker, teacher and fabric hoarder at Ragged Life. 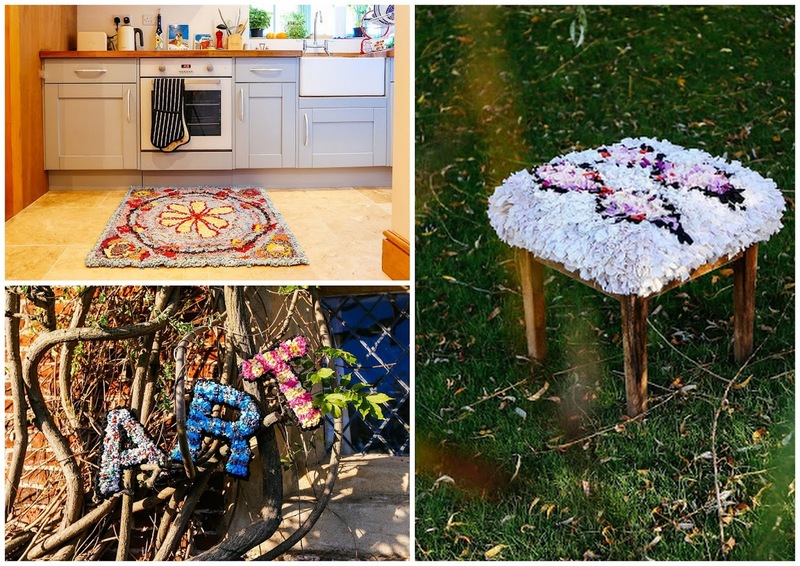 I design and make rag rug homeware, fashion and art under the "Ragged Life" brand as well as running rag rug workshops in London and Hertfordshire. "Ragged Life" is all about being rough around the edges and unique so every piece I create is handmade using materials sustainably sourced from local charity shops and I love trying our different quirky designs. 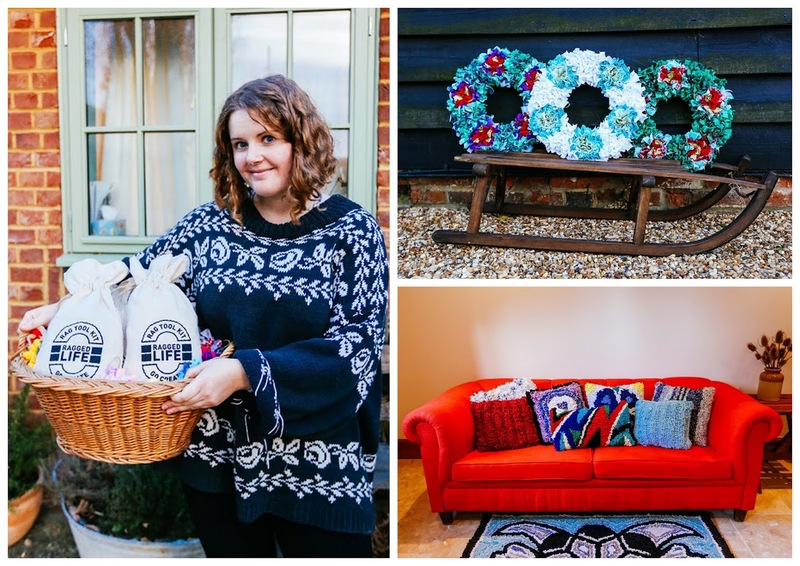 Over the years I've made everything from traditional rugs, festive Christmas wreaths and bold & bright cushions to rag rug photo frames, handbags and decorative letters - I even rag rugged up a tissue box once! Every year my school used to put on a recycled fashion show for arts students to take part in. My mum had been making rag rugs for as long as I could remember so one year I bit the bullet and asked her to teach me so I could make a rag rug costume. It took weeks to make and weighed a tonne but I ended up winning a prize, so all was not in vain. From there I just kept on rag rugging and here I am today! With Christmas coming up I've been keeping myself busy with Rag Rug Wreath workshops and Christmas present commissions. Our large rag rug letters have been really popular so I'll be rag rugging my way through the alphabet over the next few weeks. Longer term I'd really love to get together a whole load of people to embark on a World Record Attempt for the largest rag rug in the world. I just think it would look absolutely stunning. Watch this space! Think big and act small. All your small actions will get you there in the end. 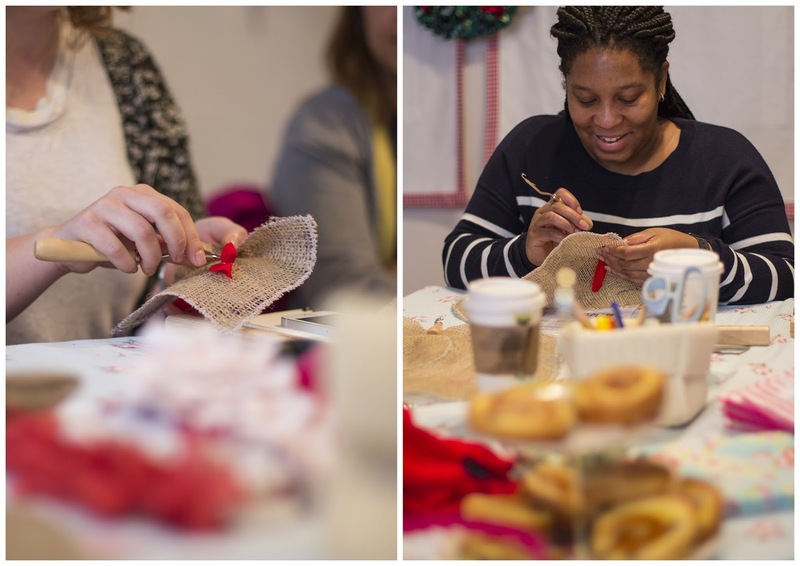 After our little chat we were able to get down to the fun of the workshop and start rag rugging ourselves. 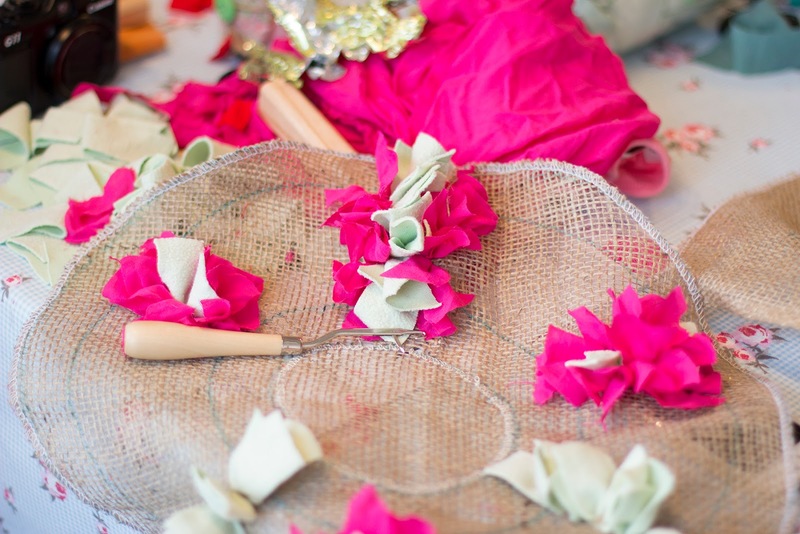 If you have never been down to the Tea and Crafting workshop space, we definitely recommend a visit. There was a group of us crafters/blogging types to learn the skill of Rag Rugging and Elsie gave us a wreath or cushion to make and so we chose one of each to get us started. Rag rugging is very simple as all you need is Hessian, spare bits of fabric and a latch hook. First, Elsie showed us the Looped method. 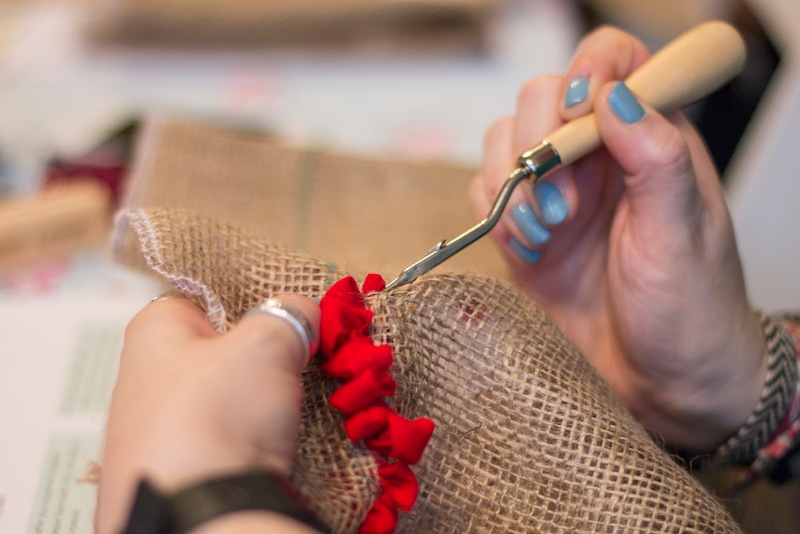 Using long strips of fabric, roughly around 2cm wide, you hook the tail end to the front of the hessian and push it back and loop it at the front, hence the looped method. Then it was over to the Shaggy method. 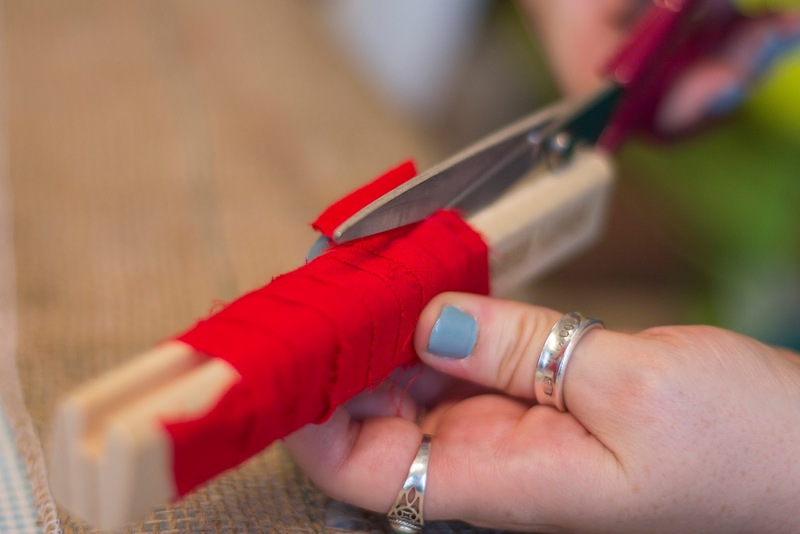 This is more of the traditional method that you see more often and involves smaller strips of fabric. The handy gauge that Elsie gave us means that you can get all your strips about the same length and get more cut in half the time too. 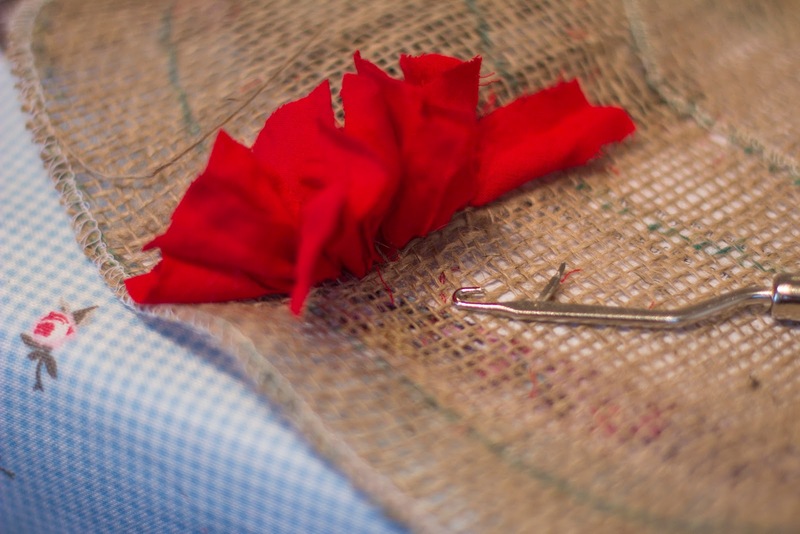 This method is about getting the fabric hooked through a hole in the hessian, so that it has the two ends of the fabric loose at the front of the fabric. Both of these methods are very simple and the looped method is more used for particular patterns and the shaggy method good for large expanses and wreaths for example. Sammy and a few of the other ladies decided to do wreaths, it coming up to Christmas and all and went for the shaggy method. 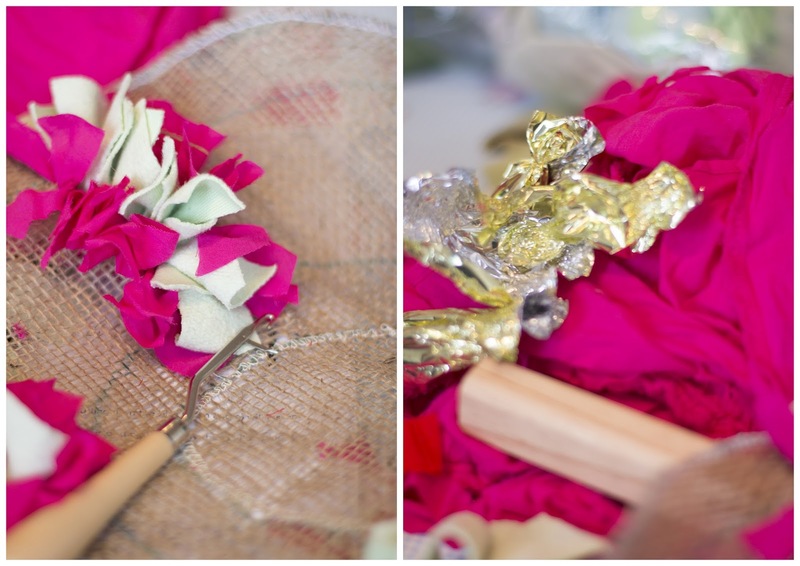 What's great about this is that it is quicker and you can add all sorts of fabric to make something really striking, you can also use sweet wrappers to get some sparkle! Sammy chose her colours with her Christmas decoration theme in mind, so just wait for that. A couple of us went for the cushion and I decided to try the looped method on mine, which appeals to my more ordered side! I wanted to make a pattern in the centre of the cushion and so I decided on an anchor and using blue fabrics - of course! I may use the shaggy method around the outside of my anchor, but not yet decided. 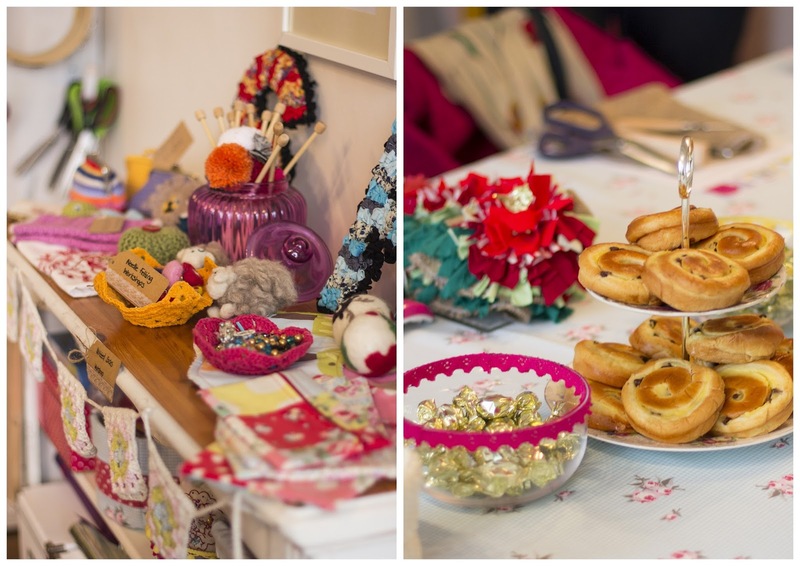 We had loads of fun at the workshop and met some new crafters, which is always nice. We are both going to be finishing off our pieces soon and so I am sure we will share them over on our Twitter and Instagram feeds soon, so watch out for that. Elsie also sells kits so that you can do your rag rugging at home or give it as a present, if going to a workshop isn't your thing, or you are further away from the classes. 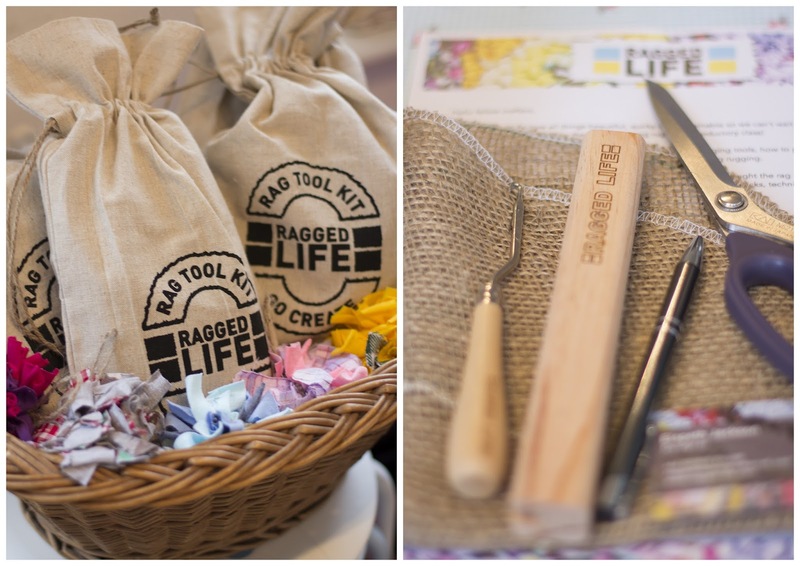 The kits include: Latch hook, Hemmed Hessian, Wooden Rag Rug Gauge, Instruction Booklet, Instructional CD with Videos and a Pen. They cost £9.99 and can be bought in her shop and will shortly be available from Sew Crafty too. Phew, that's alot of information! We loved our morning with Elsie and have definitely got the rag rugging bug. 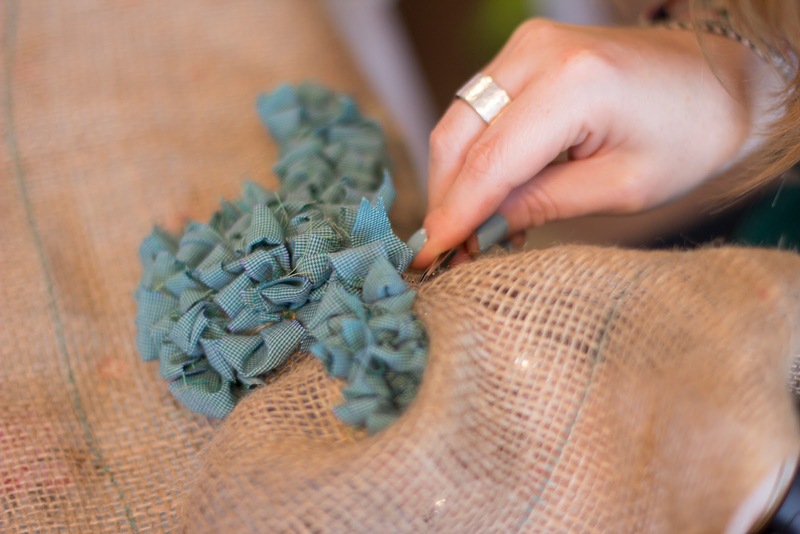 Such a great way to use up some fabric supplies and as it uses smaller bits, you can really use up all those tiny bits and pieces that you have left over from projects, especially for the shaggy method. Elsie recommended keeping old clothes and scouring charity shops for pattern and colours - we can imagine her place is full of fabric! The patterns and styles that Elsie comes up with our amazing and really help to dispel that myth that rag rugging is for older people and just a bit, well, old fashioned. Go check out Elsie's work and you can even commission her too!